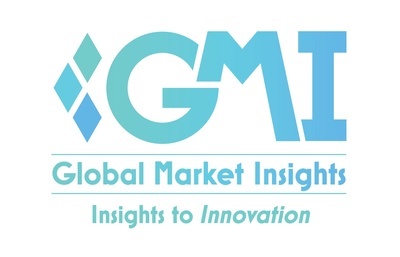 Cooling Tower Market Revenue To Cross $3bn by 2025: Global Market Insights, Inc.
Package cooling tower market share is projected to grow at over 5% during 2019 to 2025, increasing investments toward food processing, textile and automotive industry will propel the product adoption. Reduced requirement of inexpensive concrete basin construction, flexible site placement and simplified piping & electrical wiring are some of the key advantages which will accelerate the business landscape. Cooling Tower Market demand will surpass USD 3 billion by 2025, as per growth statistics analysis by Global Market Insights, Inc. Increasing investments toward the development of industrial sector coupled with ongoing thermal power plants capacity addition will stimulate the cooling tower market growth. Growing adoption of sustainable energy sources including cogeneration technologies driven by the increasing consumer awareness will positively influence the business growth. The U.S. cooling tower market was valued over USD 250 million in 2018. Robust growth in the manufacturing sector along with favourable regulatory policies toward sustainable power generation will foster the product adoption. Paradigm shift in the government policies are redefining the manufacturing sector which will boost the industry growth. Dry cooling tower market is set to grow on account of their ability to eliminate water usage, reduces thermal pollution and decreases biological contaminants. These systems work on the principle of automotive radiators which reduces the evaporative losses when compared with other available technologies. High heat load requirement along with rapid development of industries primarily across the emerging economies will stimulate the natural cooling tower industry size. Lower energy consumption cost, low noise emissions, longer service life and reduced maintenance cost are some of the underline characteristics which will propel the product adoption. Fibre reinforced plastic (FRP) have been widely gaining acceptance on account of their greater strength, non-corrosion, rigidity, ability to withstand extreme temperature, easy installation and lower maintenance characteristics. Ongoing advancement in production technology and their increasing use in manufacturing of various components will fuel the market growth. Counterflow cooling tower market held majority share on account of reduced noise emission & space requirement and efficient air to water flow contact. The air moves vertically upward through fills and water flows in the downward direction. In addition, these systems are equipped with an induced draught fan which are directly mounted on the motors. The wide acceptability of these systems across heavy industries, power plants and manufacturing sector will positively impact the business growth. Accelerating investment in the oil & gas sector primarily across the Middle East & Asia Pacific region will boost the cooling tower market growth. Ongoing development and expansion of new oil refineries will positively influence the business landscape. For instance, in September 2017, reliance industry planned to expand its Jamnagar refinery by adding 30 million tons per year refining capacity. Major players in the cooling tower market includes Thermal Care, Haman, Reymsa, SPX Cooling, BERG, ENEXIO, Bell Cooling Tower, Baltimore, Mesan, Johnson Controls, Star Cooling, Paharpur Cooling Tower, Perfect Cooling, SPIG, Brentwood, Evapco, ENGIE, Delta and Thermax, International Cooling.